Algiers, June 01, 2016 - Secretary General of the Polisario Front committed to making further sacrifices and remaining unit the final triumph of the Sahrawi people, following the death Tuesday of Sahrawi President Mohamed Abdelaziz at the age of 68 years old after a long illness. "Martyr Mohamed Abdelaziz passed away while we celebrate the 43rd annivesay of the Polisario Front, the outbreak of the armed struggle and the 40th anniversary of the Martyrs Day, the date on which El Ouali Mustapha Sayed died in war," the Polisario Front stated in a communiqué. "The deceased left an important legacy of assets and achievements and a firm willingness and determination to pursuing the struggle until triumph," the communiqué said. "Our pain is tremendous but we must assume the responsibility, make further sacrifices and remain united to stand in the way of our peoples' enemies. We remain convinced that our people will not betray its martyrs and will neither betray his martyrs nor default its responsibilities," he added. 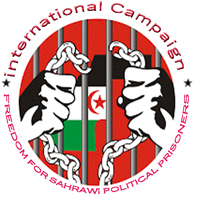 "In the face of this painful circumstance and as part of national struggle, the Secretariat General offers the Sahrawi people its sincere condolences and expresses deep compassion after the death of this figure that devoted his life to defending the Sahrawi people's dignity and rights, mainly living in a free and sovereign State," the Polisario Front said.